For generations, E. Braun & Co. has been the unrivalled source of the world’s most luxurious linens for the table, bed and bath. In this generation, the legend is renewed, as E. Braun & Co. emerges as the classic American linen house with the 21st century perspective. Today, E. Braun & Co. assembles the finest collections of traditional and contemporary linens in their West Hollywood location, staffed with experts ready to guide you in selecting the linens that will give you the greatest satisfaction and enjoyment for years to come. Step into the inviting ambience of E. Braun & Co. and discover time-honored standards of service, including the capability to customize virtually any product, as well as a selection of merchandise wide enough to make coordinating colors, fabrics and even embellishments to any décor pleasurably simple. 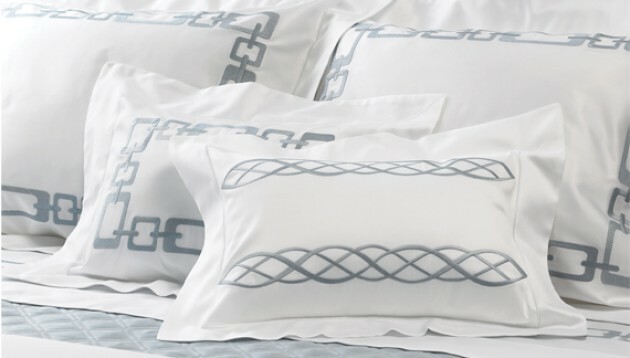 Whether your tastes run to the traditional or trend to the more contemporary, the linens you purchase from E. Braun & Co. will compliment and complement your vision of the perfect home. You and your family will enjoy and appreciate them season after season … and generation after generation.